Located just a few blocks from Atlantic, The Grove is a hidden cove of culinary delight. The restaurant is small, like most of the new discoveries I’ve made in Delray. A handful of 2-tops, a communal high top and outdoor seating. 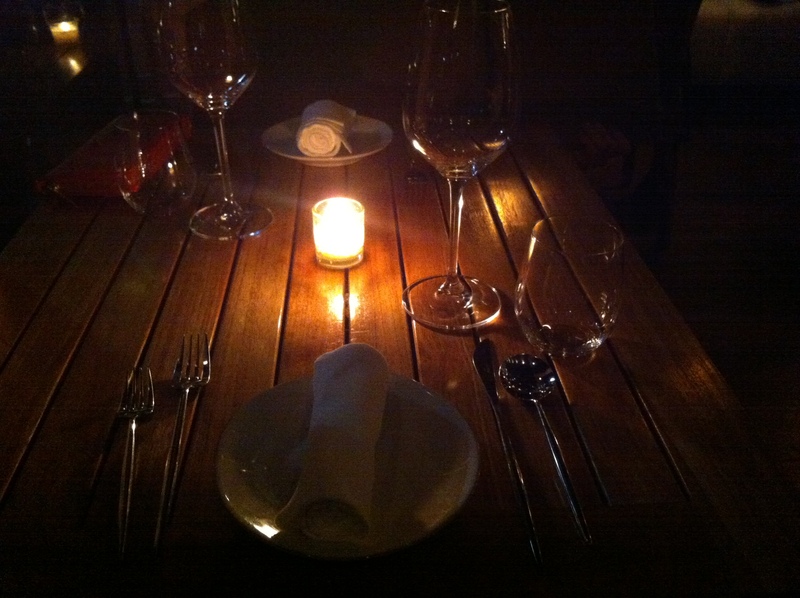 This place is romantic, intimate and homey. Perfection for a date or relaxing for a small group. Open only for dinner, the menu is ever changing and exciting with seasonal influences. They serve “refined, yet soulful” American cuisine. The evening started with the most amazing Homemade Brioche and Whipped Butter that ever needs to exist. It was divine with its crisp exterior and pillowesque inside. Like the texture wasn’t enough, the flavor was amazing with a hint of sweetness and the perfect platform for the whipped butter. Alaskan King Crab Risotto was our appetizer of choice. Sadly, it was a little undercooked and a little over peppered, but the crab was delicious. The menu is select yet somehow it feels difficult to decide what to order. I went with the Roasted Local Triple Tail which was served with roasted fingerling potatoes, an avocado puree and chimichurri sauce. The fish was cooked beautifully and flaked apart but had a buttery consistency while the potatoes were like a roasted shell with a burst of creamy potato goodness inside. The avoado puree took a moment to place as I couldn’t remember anything green being mentioned, however once I tasted it I was so glad it was there. The elements of the plate really complimented each other and created a harmonious dish while letting the triple tail stand out. The Venison with Brussels Sprouts and Black Truffle Gnocchi was amazing. The gnocchi was some of the best I’ve ever had. They could teach classes on how to get the texture of gnocchi perfect. The venison was reminiscent of a filet with more flavor and the brussel sprouts had a great sear. 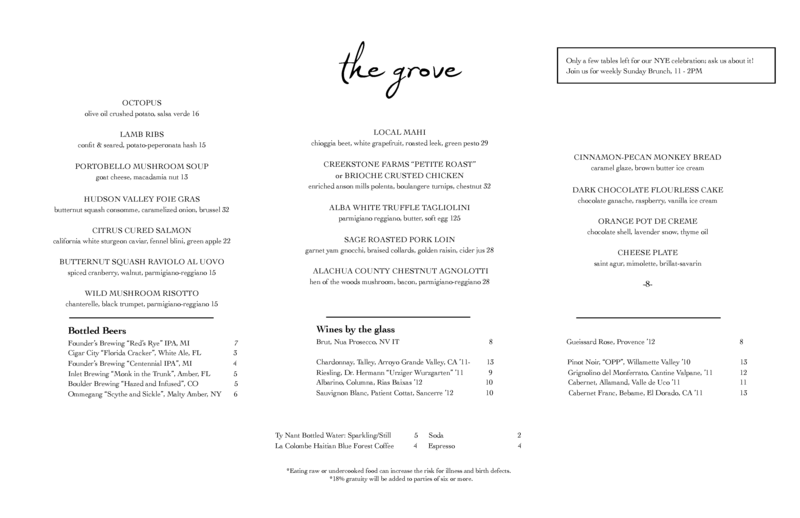 The Grove is definitely a special occasion restaurant or somewhere to go when you’re feeling frisky food and wallet-wise. Though for the quality of the food, it’s really a small price to pay.